You drop two spectators' rings into a cup and fill it with water to help them "clean" their rings. Then you tell them that adding a slight bit of acid to the mix will clean them even better. Stomach acid that is...you then drink down the rings. While waiting for the rings to come back... you saw yourself in half with a piece of rope. The audiences' eyes bug out with surprise and amazement as the rope visually passes through your body. 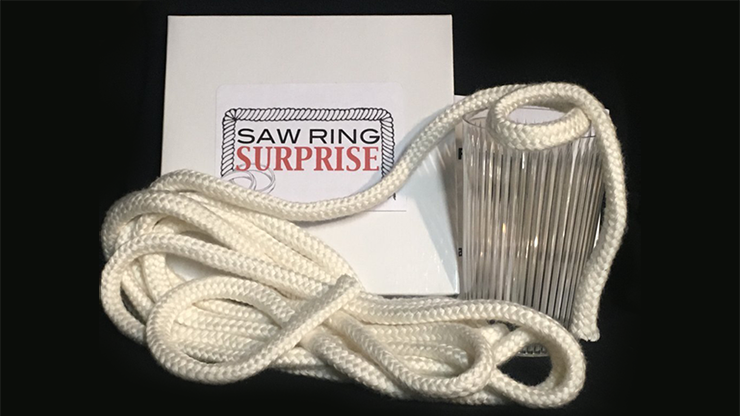 But much to their shock and disbelief... when the rope emerges, the rings are seen to be strung onto the center of the rope! This is five minutes of solid comedy and audience participation. This is one of Scott's favorite, pack-small-yet-play-big magical comedy routines!